Genealogy continually gains popularity around the world, and is increasingly becoming a favorite activity and hobby. More and more people want to research their family history and discover their past. As the trend grows, there has also been an increase in family history and genealogy-related films and documentaries. Filmmaker Joseph Lovett of New York is currently working on a movie focusing on the stories of descendants of Jews who fled Iberia beginning in 1492. Children of the Inquisition follows a group of descendants of those persecuted during the Spanish and Portuguese Inquisitions. It accompanies them as they unravel their complex and often hidden identities. Each of them is on a quest to determine and embrace their ancestral roots. MyHeritage has contributed to the crowd-funding for this film, providing free Premium and PremiumPlus subscriptions for people who contribute at some tiers of donation. Here is a link to the project donation page. Funds are being raised through April 12, 2014, so there are only a few weeks left – if you wish to get involved, use the above link. The next part of the documentary is set to be filmed in Spain, in the fall of 2014. New York filmmaker Francesco Paciocco created a short documentary – Birthplace – last year. It is about his ancestral home – Vacri, Italy. He describes the importance of where our families come from, what our birthplace means to us, and how it shapes our identity. A common theme stressed in “Birthplace” is the question of how our heritage affects us and how history really determines our future. Francesco Paciocco was kind enough to share his story with us in an interview on the MyHeritage blog, last year. Birthplace – Trailer from Francesco Paciocco on Vimeo. In January, August: Osage County was released. It was adapted from the original script of the Pulitzer Prize-winning play by Tracy Letts. It is a touching story of the strong-willed women of the Weston family. The film discusses the importance of family and how – no matter what. The family may have dispersed and they may have gone separate ways, but their roots remain connected. MyHeritage partnered with The Weinstein Company film studio for their Facebook application created for the movie. 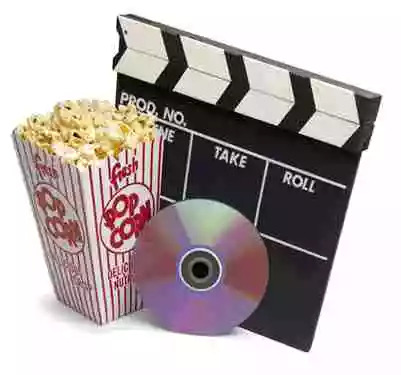 Have you seen any movies recently that have genealogy or family history themes? Let us know in the comments below. I love “Possession” (2002) with Gweneth Paltrow. It has a plot that takes place in two different time periods that join together into one family’s hidden posterity.